Pakistan People’s Party (PPP) Chairman Bilawal Bhutto Zardari has taken strong exception to delay and failure of the federal government in providing the required funds for repatriation and rehabilitation of the temporarily-displaced persons (TDPs) as half of them are still forced to live away from their hearths and homes and condemned to live in miserable conditions due to apathetic approach of the Sharif government to this human crisis. In a press statement released on Wednesday, Bilawal said that TDPs were the heroes of the nation who sacrificed a lot in the fight against terrorism. They had left their homes to pave way for the success of the operation against terrorists but the Sharif government had rendered them second class citizens and ignored their woes. “This is the worst form of human rights violation on the part of PML-N government, which is spending hundreds of billions on worthless projects but seems unwilling to release the required funds to send the TDPs back to their homes even after two years,” he added. The PPP Chairman said that being a victim of terrorism itself, his party was in complete solidarity with the TDPs from Waziristan and other parts of FATA. “PPP will continue to play its role for an honorable and dignified return of the TDP families back to their homes with a complete package for their repatriation and rehabilitation at their ancestral abodes and lands,” he stated. Bilawal pointed out that there was a massive displacement of people in Khyber Pakhtunkhwa (KP) during Operation Black Thunderstorm which was started on April 26, 2009 during the PPP government in which over two million people became internally displaced. Of them, the ‘people’s government’ facilitated around 1.6 million to return to their homes by August 2009 within a period of four months under a huge rehabilitation programme, he added. The PPP chairman said that on the one hand brave soldiers of the Pakistan Army are fighting the terrorists and risking and sacrificing their lives and limbs for returning peace to the nation, while on the other, the Sharif government is failing to play its role and delaying the release of the funds for TDPs’ repatriation and rehabilitation. He said that this was a criminal negligence which would not be tolerated any more. Bilawal warned the government to immediately provide the required funds without any delays or his Party would raise the issue at every forum against this tragic situation thrust upon the TDPs. 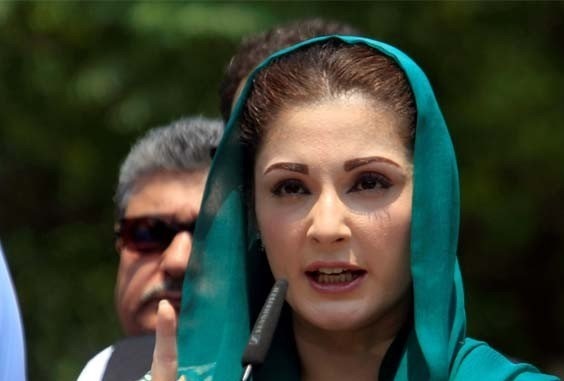 “The government will continue to support the people till the danger is completely over and the last drop of floodwater goes into the sea,” Sharif said.